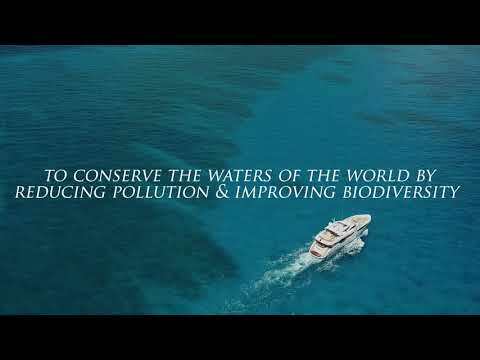 After announcing its partnership with the Blue Marine Foundation at the Cannes Yachting Festival 2017, British boatbuilder Sunseeker has launched its first major ocean conservation campaign with the charity. Project Menorca will see Sunseeker and Blue team up with a number of local organisations, such as the Menorca Preservation Fund, to help tackle the numerous pressures facing the island’s marine environment. 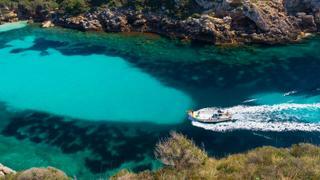 The land mass of Menorca became a UNESCO Biosphere Reserve in 1993 and boasts a marine reserve in the north of the island but, without proper regulation and policing, fish populations and other marine life have been severely affected by illegal and unregulated fishing, tourism, climate change and plastic pollution. While change is in progress thanks to an appeal to extend the Biosphere Reserve to the ocean and establish new protected areas, there is still much to be done to tackle the island’s issues. Among its numerous activities, Project Menorca will work with local fishing associations to create models for sustainable fishing, recruit on-water rangers to help monitor fishing activity, establish eco-moorings to minimise anchor damage to delicate seagrass beds, work to remove plastics and abandoned fishing nets from the seas around Menorca and encourage the use of biodegradable and reusable shopping bags across the island. In addition to the launch of Project Menorca, Sunseeker will also be supporting the work of Blue through the Blue Marine Yacht Club. Sunseeker owners can choose from BMYC’s three membership levels with all money raised donated to support the work of Project Menorca. Depending on their level, members will have the opportunity to take a guided tour of the activities taking place in Menorca or even have the chance to name one themselves. The find out more about Project Menorca and how you can get involved visit sunseeker.com/blue.